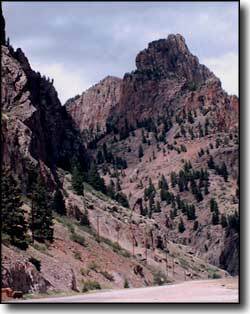 Much of the route of today's Silver Thread Scenic Byway is based on portions of two 19th century toll roads that were built to exploit mining and commercial possibilities in the San Juan Mountains. In the early 1870's, an intense rivalry existed between the businessmen of two San Luis Valley towns: Saguache and Del Norte. Major gold discoveries were happening in the San Juans west of here and both towns wished to become the "official" gateway. In 1873 the town leaders of Del Norte began to develop the Del Norte and San Juan Toll Road. The road followed the Rio Grande River past South Fork to Antelope Park (San Juan City). At Antelope Park the road followed Crooked Creek and crossed Stony Pass, dropping down Cunningham Gulch to Howardsville. In the fall and winter of 1873-1874, mining machinery for the Little Giant Mine was hauled over this route. 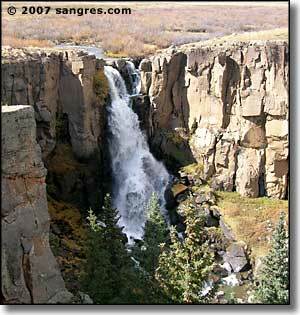 In 1874, Otto Mears and other town leaders in Saguache hired Enos T. Hotchkiss to build the Saguache and San Juan Toll Road, a torturous 130 mile route that meandered up the Lake Fork of the Gunnison River past present day Lake City and over Cinnamon Pass, dropping into the Animas River Valley near Howardsville. The Hotchkiss road building party discovered rich gold ore in the vicinity of Lake City in August, 1874. 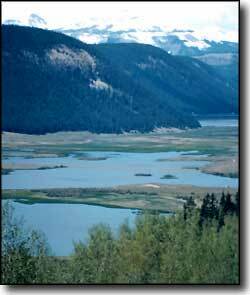 The Del Norte group then incorporated and built the Antelope Park and Lake City Toll Road. In order to finance the cost of the venture, they offered $5,000 in capital stock at $100 per share in June, 1875. A number of business owners from Lake City and Del Norte bought in, among them was Alva Adams (later a multiple term governor of Colorado), J.H. Shaw, Herman Schiffer, Henry Finley, E.J. Shaw, and Charles Newman. Otto Mears, one of the backers of the Saguache-San Juan Toll Road, bought the last $500 worth of stock in July, 1875. Henry Finley, President of the Lake City Town Company, offered to construct the portion of the toll road from Lake City to the top of Slumgullion Pass if the Del Norte contingent would fund the road from that point on to Antelope Springs. Road construction was begun on July 19, 1875 and was completed the following November. In 1876, under the direction of Henry Finley, the road was improved, cutting the average travel time from three days to a day and a half for the 81 miles. Regular coach service between Del Norte and Lake City was started in the summer of 1876. As the descent from Slumgullion Pass was so steep, in the fall of 1876 a nine mile section of the road was "corduroyed" with logs 6-12 inches in diameter. This made for a horrible ride. When The Denver and Rio Grande reached Silverton in 1882, the traffic on these roads fell off sharply. By 1885 Lake City's principal freighting center was Sapinero, near Gunnison. In 1889, the railroad built up the Lake Fork and into Lake City itself. The toll roads fell into disuse and disrepair quickly. 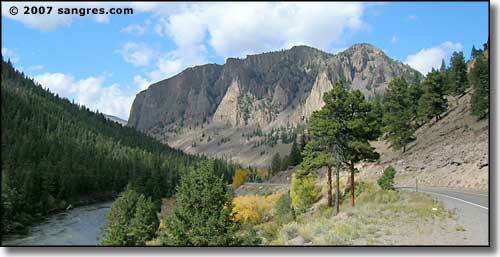 In the 1890's there was a renewed mining rush in Creede that brought new people in and forced some repair on the roads. 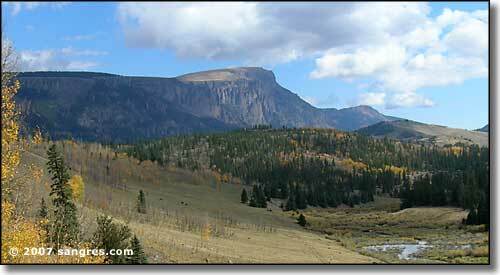 In 1913 the Lake City - Creede road was designated a state highway and began to receive funds for improvements. Over the years, the road got more and more popular until it was widened in the 1960's and totally paved by 1984. At that point there was a ribbon-cutting ceremony held to commemorate the completion of the $1,295,883 project which paved the last 7.5 miles.